Large antique French wine pitcher. Circa 1880s. 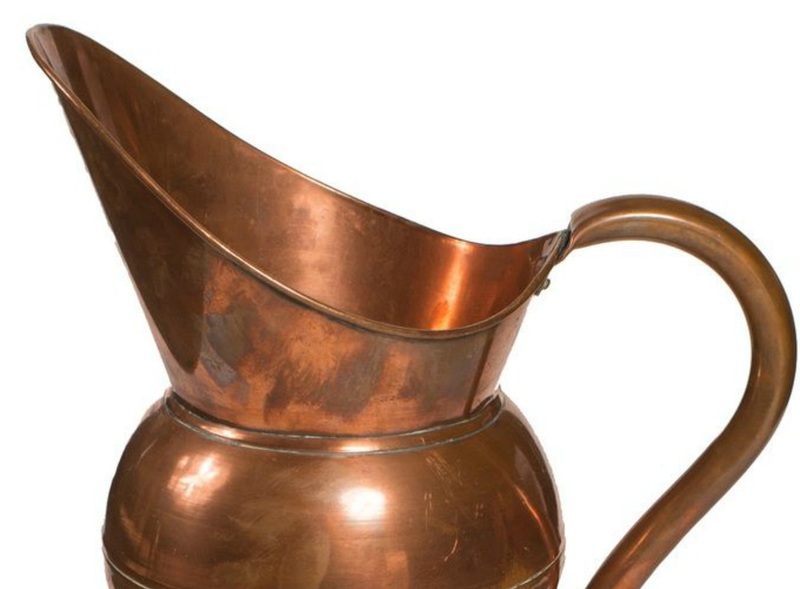 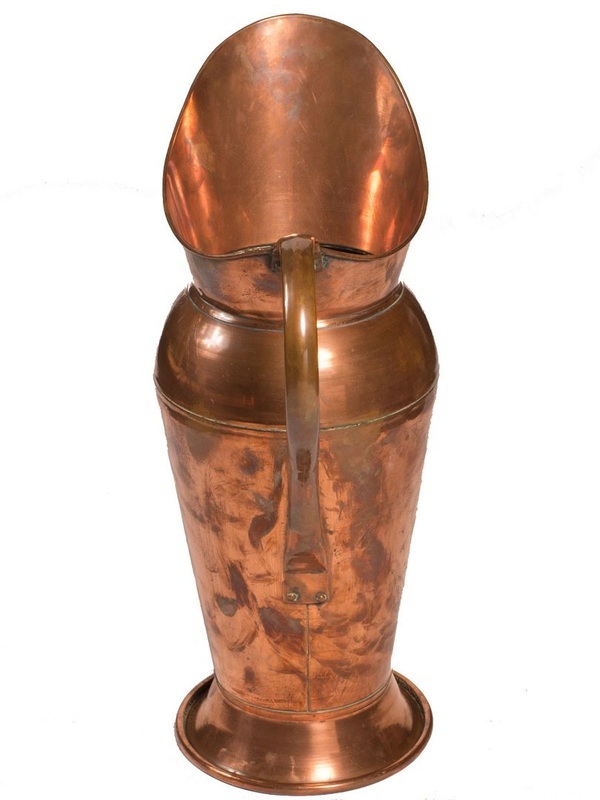 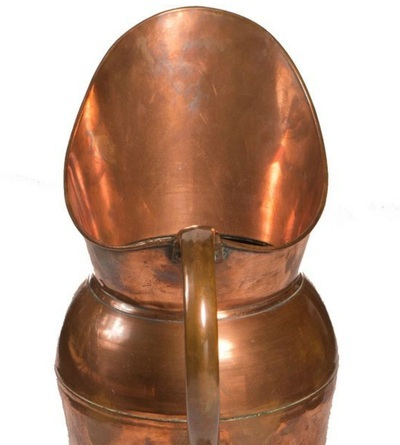 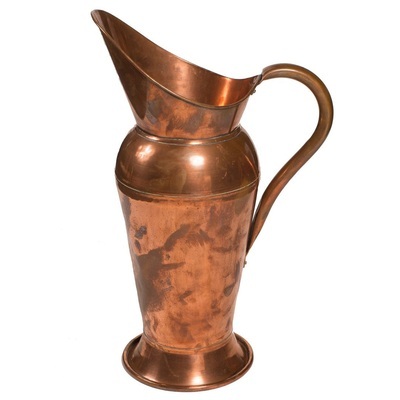 Expertly handcrafted from copper, this pitcher is still watertight and ready to use. 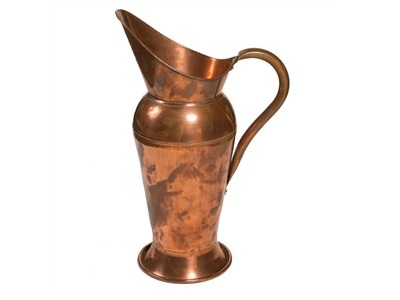 Perfect for flowers on a dining table or use purely as a decorative piece. 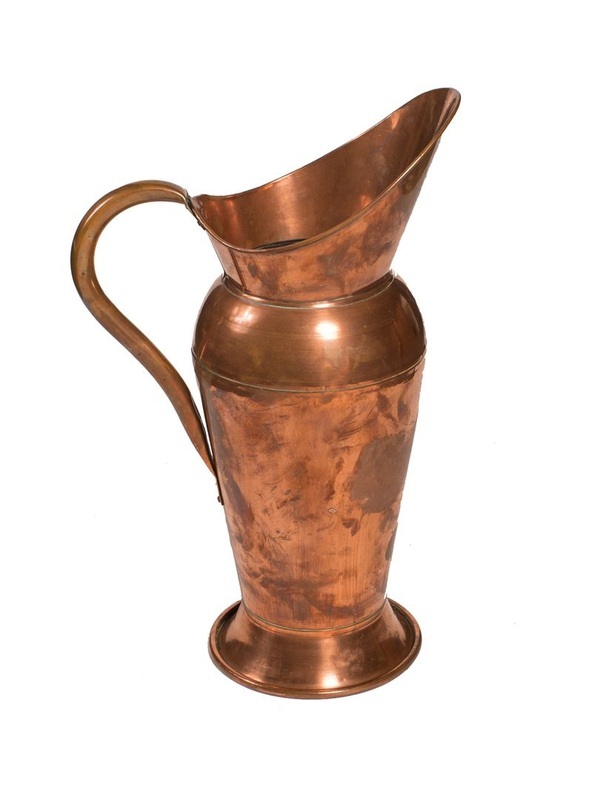 Wonderful Country French accent for your home. Lovely aged patina.